With the Metrorail’s first phase now fully operational across the city, the organisation in charge, Chennai Metrorail Limited (CMRL), has begun planning for the second phase. Spanning over 119 km across three corridors, this project is expected to go for tendering by June this year. Soil testing is now ongoing in various parts of the city. The enthusiasm for the project is palpable, what with the first phase having shown how it can benefit the public. This is also time to ponder over how this phase can be handled in a more efficient manner than the first. 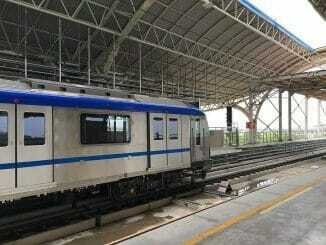 The initial phase of the Metro, to cover 45 km, faced considerable delays. Work began in 2011 and was slated for completion in 2015 but it is only this year that the network became operational. The cost, estimated at Rs. 14,600 crore ballooned to Rs. 19,000 crore. The second phase is more than double the first in terms of area coverage and is estimated to cost Rs. 69,000 crore. Spanning three corridors – Madhavaram to Sholinganallur, Madhavaram to Chennai Mofussil Bus Terminus (CMBT – Koyambedu), and Lighthouse to Meenakshi College, it will soon see work commencing on the first 52 km which will involve the first two corridors. A loan agreement with Japan International Cooperation Agency (JICA) is already in place and CMRL also has in-principle approval from Asian Development Bank, the World Bank and other institutions. It is believed that with these agreements in place, CMRL will not have to wait for the Centre to release funds for Phase II. It is noteworthy that no deadline for the completion of Phase II has been set. With such a huge investment and with so much of the city’s future hanging on it, you would expect a project plan to be rolled out first. It is necessary that this is in place so that, we the public can evaluate how much CMRL has learnt from Phase I.
Secondly, there were several reasons for the delays in the first phase. Chief among these was the difficulty in land acquisition, which also contributed to cost overruns in a significant manner. It is to be hoped that CMRL will have a more scientific system in place for the 800 or so private properties it plans to acquire for Phase II. Another reason for delay was the sudden vanishing of an important vendor who cited tardy payments from CMRL. This, combined with their own parlous finances caused bankruptcy. CMRL will need to vet its vendors in a more professional manner this time. Road cave-ins at various locations were a third cause of delay. While underground drilling is not easy and each such exercise is a new learning experience, it is to be hoped that CMRL will by now have a reasonably good idea of Chennai’s topography and soil to manage this. Lastly, we at Madras Musings have always been stern critics of the way CMRL dealt with heritage structures. Some have made way for the project, while others are in a precarious state owing to the underground drilling in their vicinity. 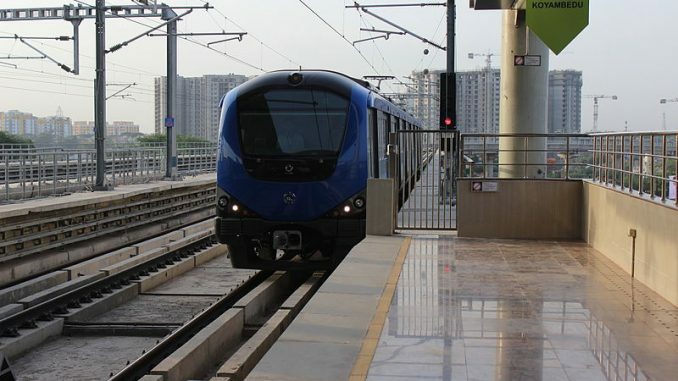 Will CMRL be more sensitive in Phase II? Even in Phase I, we did see a progressive warming up to heritage thanks to enthusiasts, activists and the media. Promise was made to rectify damages where incurred and stations were built in some places to reflect the architecture of nearby landmarks. Can this extend now to more affirmative action – ensuring all heritage structures that stand in the route of Phase II will be maintained and, more importantly, put to some good use instead of just being demolished? Sharing the correct legible map with list of stations is the most important aspect of communication. You have forgotten to stress on Urgent need of metro from tara mani to siru seri first. Metro will be overhead only, on this stretch. Ask them cmrl and relevant govt dept to build omr stretch first. Lacks of houses and offices need metro urgently. Its a wwonder how you forget this. Why do we create these monstrous railway stations that require acres of space? These later become social liabilities because of undesirables using them during off hours and creating a legitimate security risk for genuine passengers. Can we not simplify the station structure to be small and barest minimum like in many places in the London underground? It will keep the over all project cost down. the difficulties faced by chennaities to build metro train is unbearable but it is unfortunate that it is useful only to few elites. the common man are out of reach of metro train. it is high time to stop all metro projects otherwise mrts like services may be built.